Moto C Plus comes with Polycarbonate body. It has a 5-inch (1280 x 720 pixels) HD display, On the front, there is 2MP front facing camera with LED Flash, earpiece, Moto Branding on top.three capacitive touch buttons below the display. 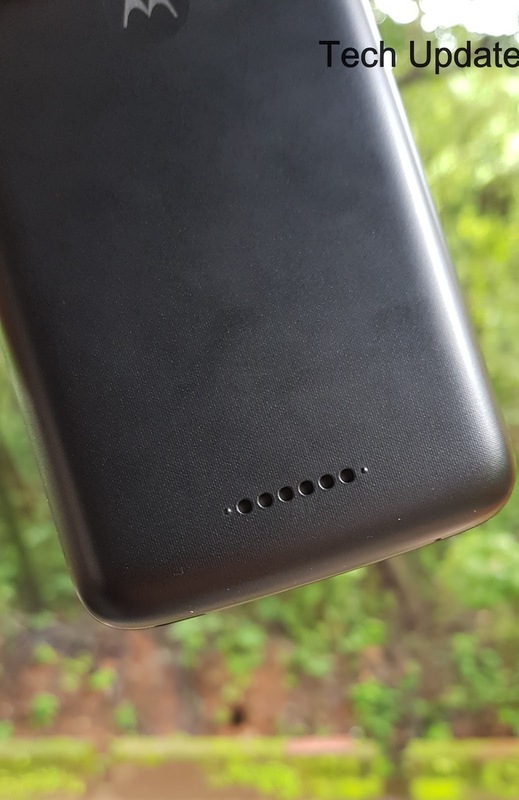 On the right, there is a power button and volume rockers there is nothing on the left side.On the top, it has a 3.5mm audio jack and micro USB port. Microphone present on the bottom. On the Back, there is an 8MP camera at the back with LED flash moto dimple and loudspeaker grills. The phone measures 144x 72.3x 10 mm and weighs 151 grams can be used in single hand. 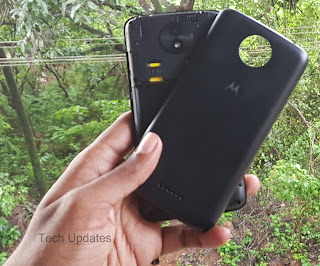 Back Panel on Moto C Plus is removable and has support for Dual SIM and Dedicated MicroSD card also 4000mAh Battery is removable which is able to deliver battery life up to 2 Days on Normal use. 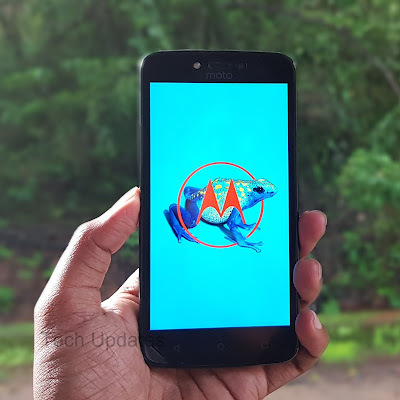 Moto C Plus is powered by a 1.3GHz quad-core MediaTek MT6737 64-bit processor coupled with 2 RAM, and16GB internal storage out of which around 9GB available for the user which is expandable memory up to 32 GB with microSD. 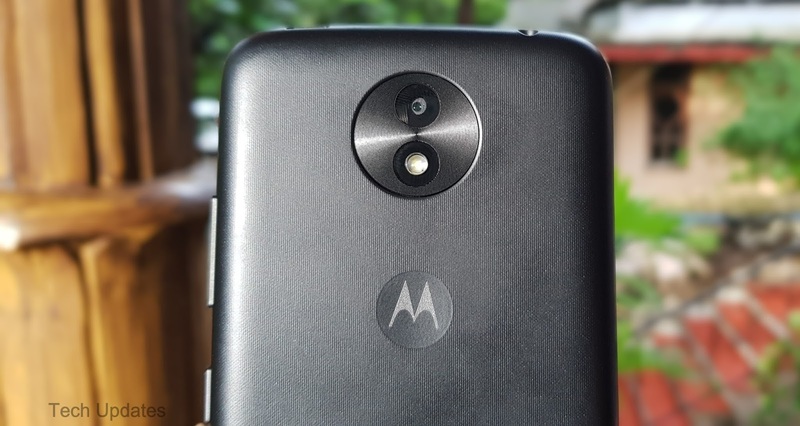 On Camera Moto C Plus has a 8 MP rear camera with ƒ/2.2 aperture, Auto Focus, Single LED flash which can record videos up to 720 and 2MP front camera with LED Flash ƒ/2.8 aperture which can record up to 480p. 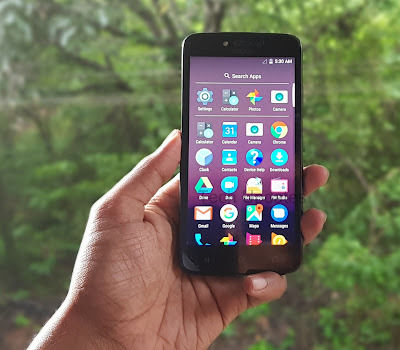 Daylight Camera performance is average compared to other smartphones in this price range. Connectivity options on the phone include 4G VoLTE, WiFi 802.11 b/g/n, Bluetooth 4.2 and GPS.Dual SIM device runs on Android 7.0 Nougat which is stock Android and comes with Google assistant it comes with Split Screen and more features. Moto C Plus comes in Pearl White, Fine Gold and Starry Black colors priced at Rs. 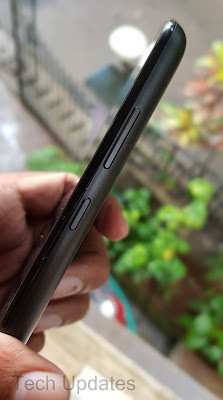 6999 in India. 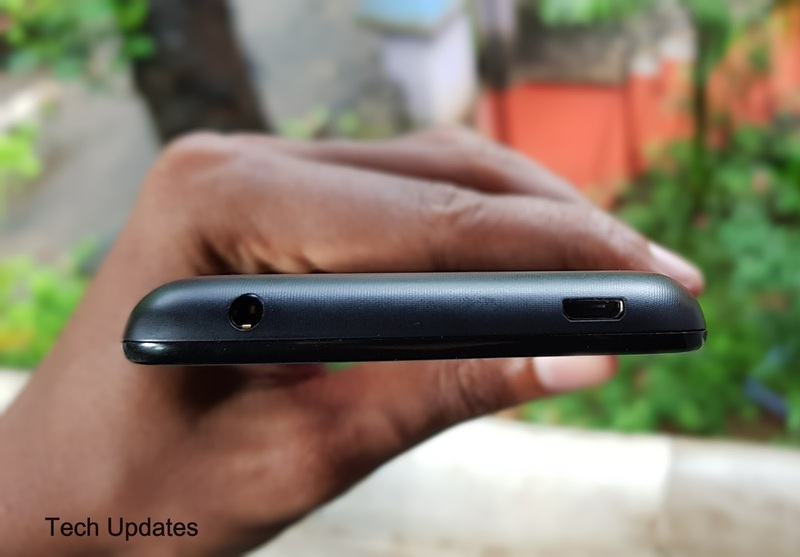 It will be available on Flipkart at this price range there are other Phones like Redmi 4 and Infocus Turbo 5 which has bigger battery and Fingerprint Scanner.